I grew up in the South Wales valleys and always loved going into Cardiff with my family. That familiarity with the city helped when I was thinking of what university to go to. I’d done a lot of research into the varying courses offered up by other universities but I was won over by the open day I attended in Cardiff. I was studying second language Welsh at the time and once I knew I could combine two languages at Cardiff that had a big influence on my decision. I enjoyed meeting people from all over the UK and further afield and made some great friends along the way. My first year was an eye opener, and second year everything became a lot more focused, but for me my best memory is studying abroad in Montpellier in the south of France. The year abroad was a life-changing experience and one that shouldn’t be missed. I was lucky in the sense that I had the chance to live in an area that was similar to Cardiff, in that it was vibrant and youthful, but with more sunshine!! Cardiff offered some excellent support to its pupils studying abroad but I didn’t need much help, as it was a great year which helped me develop personally and linguistically. 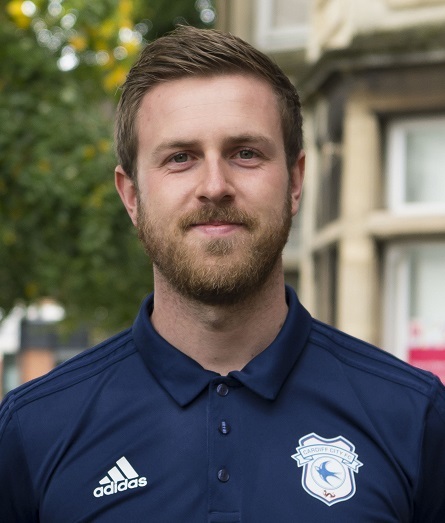 After graduating I went straight into employment at Cardiff City FC. As I was approaching my finals, the club contacted the French department in an attempt to sound out some French speakers to help the recruitment department. I worked on some translation jobs on a voluntary basis for several months before landing the job full-time as the club embarked on its first Premier League season. My role is really wide ranging and certainly keeps me on my toes. I use my language skills every day and can involve anything from translating team-talks for our first team players to planning trips for our scouts to go and find the next big players. Essentially I have to look after the players’ welfare and ensure they can focus all of their energy on playing football. I help source properties for new players and help them administratively with banking, visas and taxes when they first arrive. If I could give advice to current students I’d tell them to speak as much French and Welsh as you can outside of lectures and seminars. Language skills have been so important to me in and out of work and it’s still cool to see people’s reactions to me speaking French. I still don’t think I’m 100% fluent, so speaking more and more in different situations benefits you greatly. I loved the whole experience of going to university and would love to do it all again! Taking everything into account, the city and the university is the perfect place to live and learn.